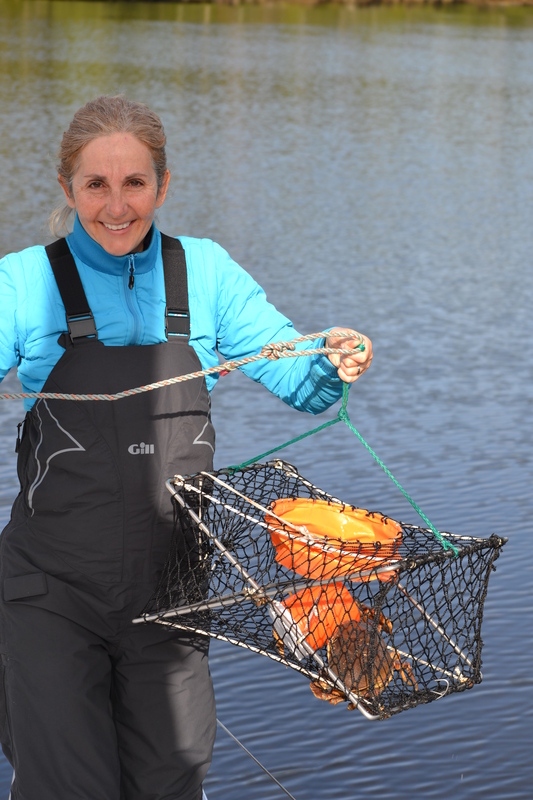 Departure is delayed this morning as I attracted two Dungeness crabs to our trap under the boat with meatballs from our dinner. This will make for a nice lunch as we promptly got them boiled and shelled and added to a Knorr leek soup and a bit of couscous to make a crab chowder. There is no wind so we are motoring past Fish Egg inlet and the lighthouse on Addenbroke Island in direction of the Kwakshua Channel between Calvert Island and Hecate Island. A five mile long narrow to Pruth Bay where there is a trail to the white sand beach in Hakai Passage. Fitzhugh Sound is imposing and majestic, crossing it is about five miles. We have been passed by the Northern Expedition, the new BC ferry replacing the Queen of the North that was sunk on Gill Island just North of here by its negligent crew. We can’t help but sing “ Next stop is Gill Island”! 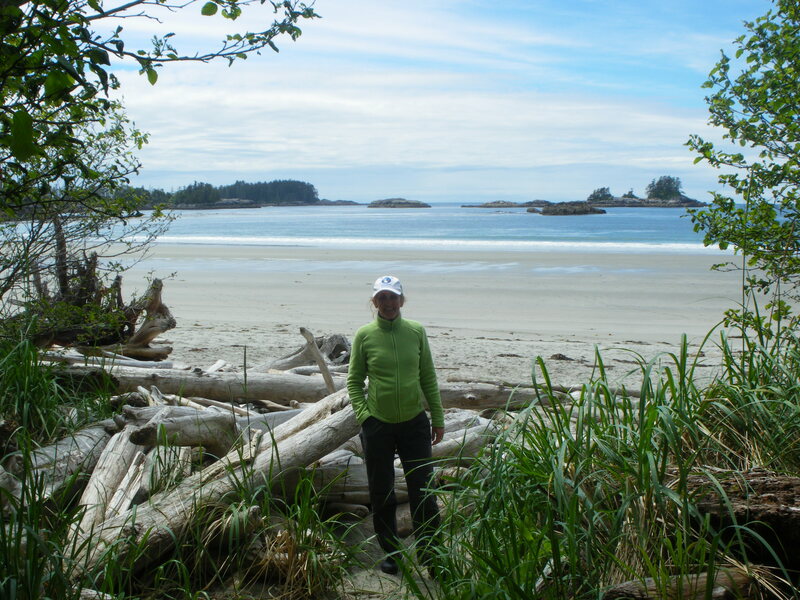 We are anchored in front of the Hakai Research Institute and have gone for a short hike on neat trails taking you to West and North Hakai beach. 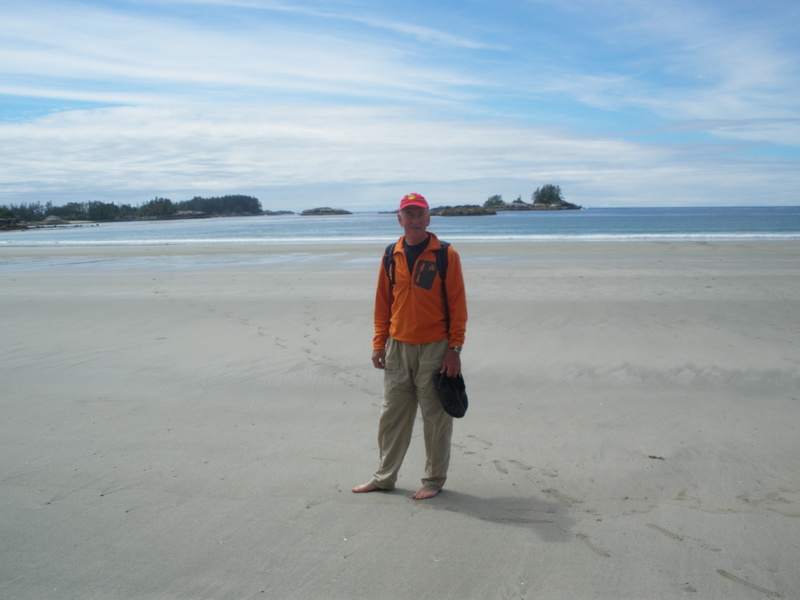 Hakai Beach is not dissimilar to Long Beach, white sand, miles of beach, islets in front of it and a good surf. Not any warmer either! The Institute is a mystery, they are friendly enough to let you use their trails, docks and internet, but there is no information whatsoever as to what they do. They own state of the art power-boats, have a log-house lodge and many auxiliary buildings. The staff which is very elusive is housed in plastic yurts, seems like a true picture of a Dr No’s mad scientist’s facility. 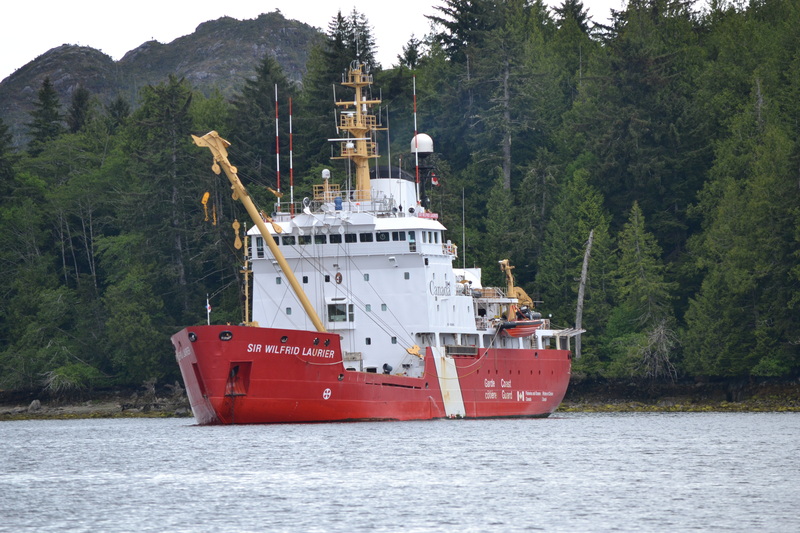 This is a lot of hardware for an area as desolate and without any phone signal, especially if you count in HMS Sir Wilfrid Laurier, 83 m long, a Search and Rescue vessel also assigned to setting marks along the coast, anchored around the corner. This entry was posted in The Log and tagged Hakai beach, Inside passage, Pruth bay, sailing. Bookmark the permalink.